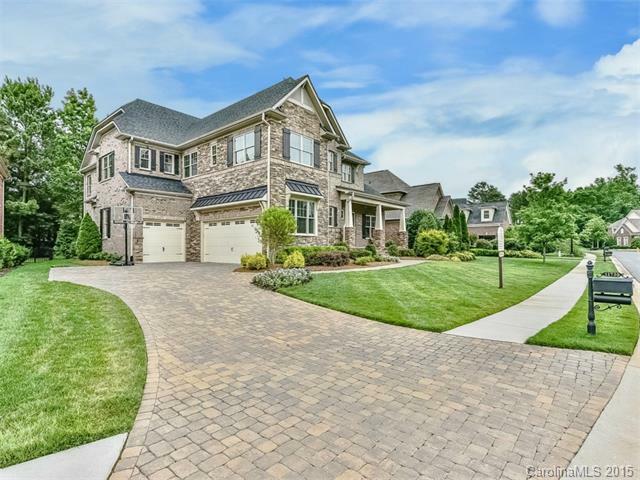 Nestled at the back of Providence Country Club is Vanderbilt at Providence, an enclave of spectacular homes built by Charlotte-based Sinacori Homes. One of the beautiful Vanderbilt homes sold in 2015. The neighborhood is in a great location off Providence Road near Tom Short and Ardrey Kell roads. It is convenient to Blakeney Shopping Center, Stonecrest and The Arboretum, as well as Weddington and Ballantyne. 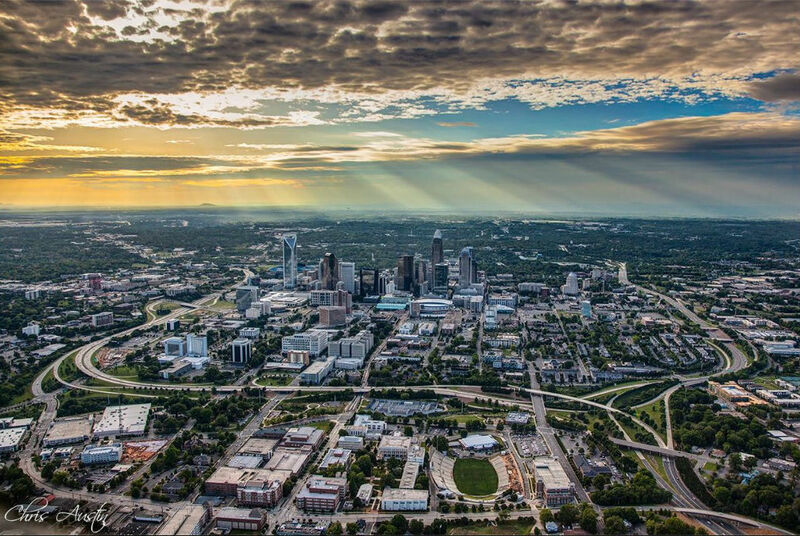 Nearby I-485 makes travel around the city quick and convenient. Residents can join adjacent Providence Country Club and enjoy all of its amenities. Vanderbilt was established in the early 2000s, so it has the maturity of an established, stable neighborhood but still offers some new construction and building lots, as of Feb. 26. Homes range in size from 3,000 square feet and 4,500 square feet on wooded lots of one-half to three-quarters with a creek at the rear of the tree-save area. The majority of homes is priced in the $500,000 to $650,000 range. Exterior features include full-brick construction with side load and courtyard garages. Homes feature stacked stone or stucco accents. Hardwood floors, custom kitchens with granite counters, stainless steel appliances and crown molding throughout are just a few of the standard features inside these homes. Eleven homes sold in Vanderbilt during the last 12-month period for an average sales price of $558,167, which is approximately $100,000 less than the average sales prices in adjacent Providence Country Club. The average price per square foot is approximately $139. Currently, there are 6 homes on the market in Vanderbilt, which puts inventory for the neighborhood at 6 months. None of the listed homes is under contract and 2 are in planning stages. Preliminary list prices for the planned homes are $596,000 and $675,000. The resale homes listed were built between 2002 and 2008. On average, homes in Vanderbilt sell at 97% of list price. The neighborhood is zoned for Polo Ridge Elementary, J.M. Robinson Middle School and Ardrey Kell High School. 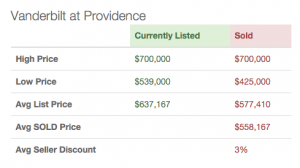 Vanderbilt at Providence offers all the beauty and great location of Providence Country Club but at a lower price point. Previous PostPrevious Where is the Inventory?